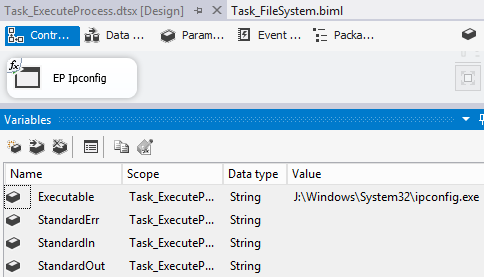 The Execute Process Task allows you to invoke any executable. While it should be obvious, don't run programs that have graphical user elements. 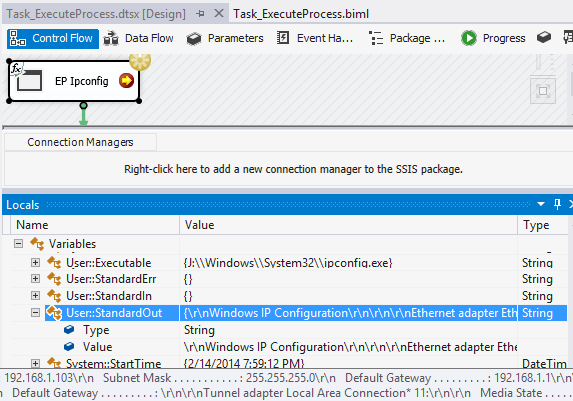 A package is generated that calls ipconfig and assigns the results to standard out and standard error SSIS Variables. As usual, I have everything driven by SSIS Variables. The "Executable" appears to be hard coded but you'll see there's actually an expression on it.